What Makes a Data Warehouse Different? 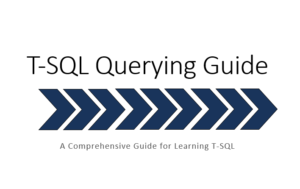 BECOME A SQL EXPERT TODAY! I have been working with Brewster and The Knowlton Group for several months. Brewster offers a wealth of knowledge in areas of Business Intelligence, Data Architecture, and Data Warehousing. He has provided consistently excellent service and has demonstrated top-notch problem solving skills. I heartily recommend you consider Brewster and The Knowlton Group for your important projects. Brewster is a highly functioning individual–socially and intellectually. He quickly applied his math skills into the business world of marketing and sales management, from forecasting a previously un-forecastable segment of our business to generating reports that informed us of our most fertile end user customer segments. I have had the opportunity to work closely with Brewster Knowlton over the past 2 years. Brewster has been working at our facility as a contract technical resource. More specifically, Brewster has provided our facility with high quality SQL Server expertise. Brewster’s technical expertise, enthusiasm, professional demeanor and strong work ethic are to be commended.